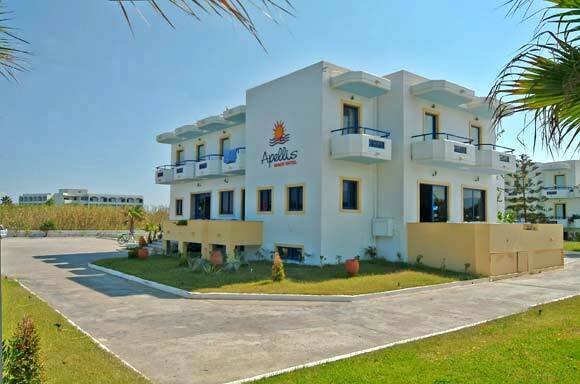 Hotel Apellis has 80 beds ant it is located at Lampi next to the most popular and beautiful beach of the island and only 1.8 klm away from the center of Kos. 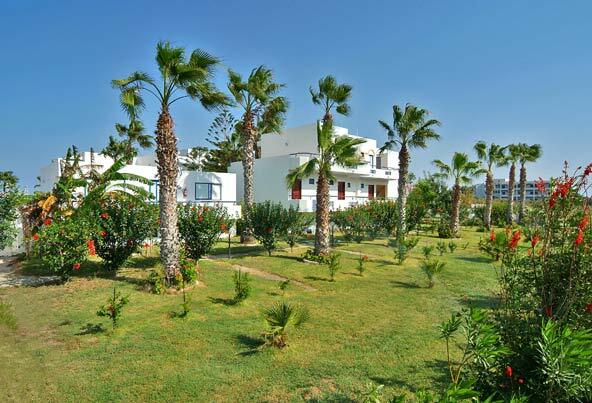 The hotel is traditional built inside a beautiful garden, next to the seashore. 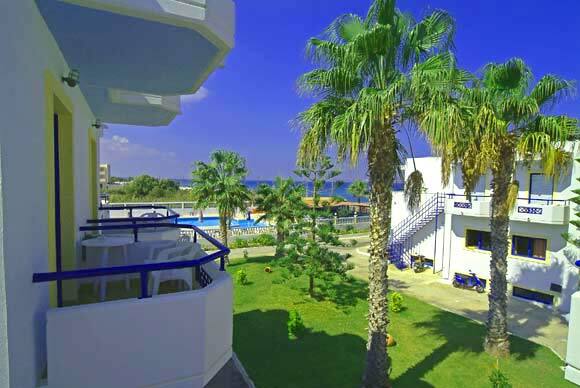 It has spacious rooms and balconies all viewing at the sea. It also has a private parking space. 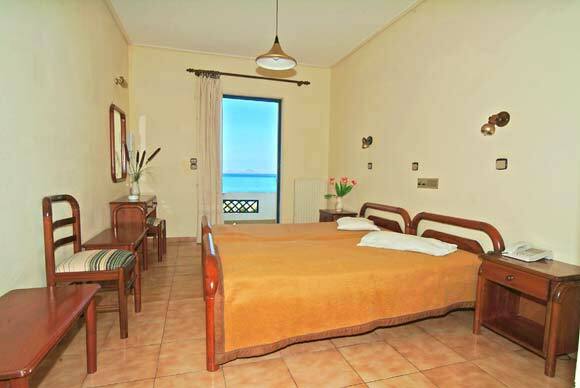 The beach is sandy, extended and ideal for families with small. It is also ideal for the lovers of water sports. For those who like walking or jogging it is the best beach street near the hotel. 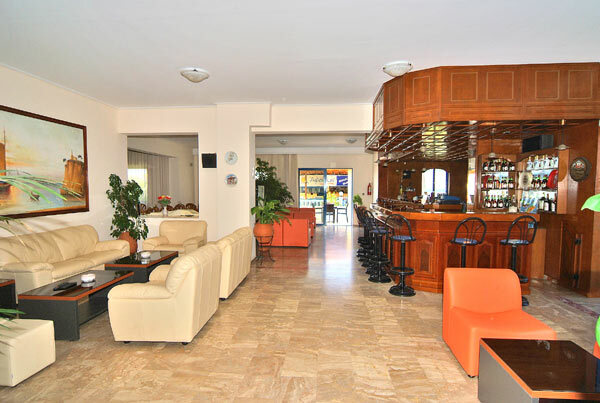 Exactly in front of the hotel is a bus station, while 200m from the hotel you will find many taverns, restaurants and super markets. 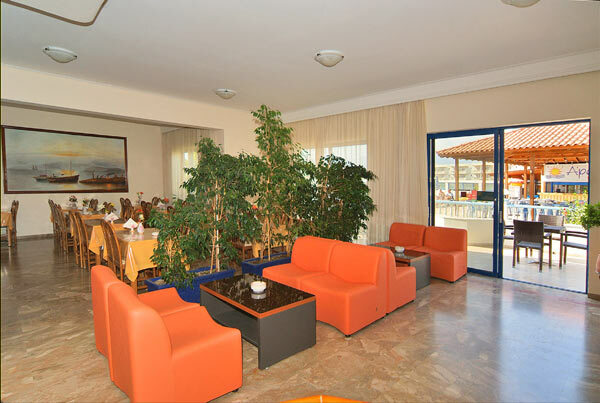 Hotel Services: Exchange money, Video games, Full breakfast, Pool, Snack bar, Satellite TV, Bar, Car and Bike rental. 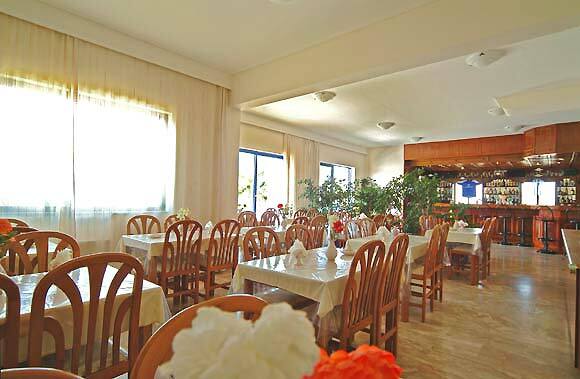 Room Facilities: Telephone, Hair drier, Refrigerator, Music. 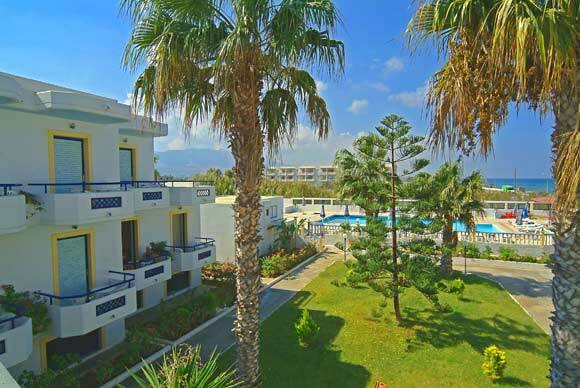 We wish you a good stay at the Apellis Beach Hotel.